Thanks to ZaffreAqua for this Review! You can read the License on our GitHub-Page here. We don’t really know how to create a way for you to donate to us at the moment. We'll talk about this with Mrbutal and SpitFire4466. If you want to help us you can contribute to the 1.7.10-port here or to the rewrite here. Since the Curse-takeover Mrbrutal doesn't have access to the original Traincraft-Thread and Traincraft-Account. 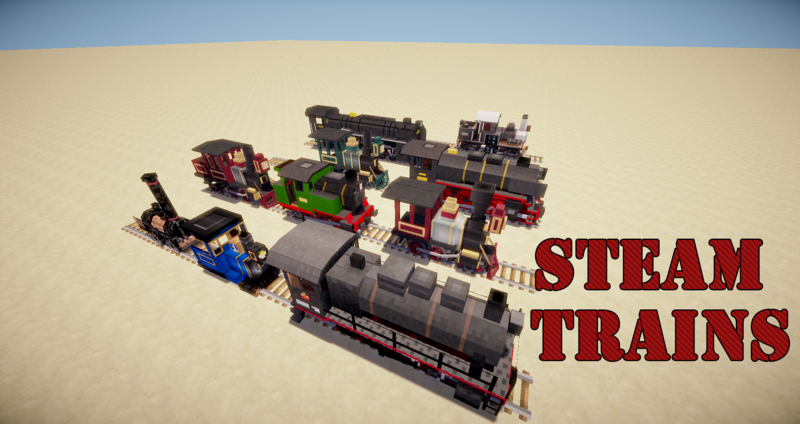 That is why we provide a new thread for the future of Traincraft. 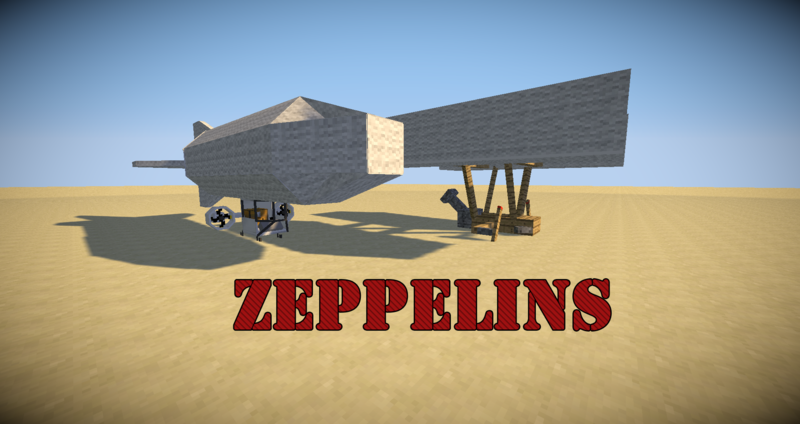 It's so great to see this mod on 1.7.10. Thank you guys for awesome work. Creative Department of the Zora no Densha train mod. Follow me on twitter https://twitter.com/ThomasWaagenaar for the latest updates regarding modeling. If you have any questions, feel free to send a message. Yay I missed this mod! I never really used it for much but I loved having it in my game! Downloading now. Location: Lost within my mind, Melb. Is there any intention to add rotacrycraft/reactorcraft/electricraft support? 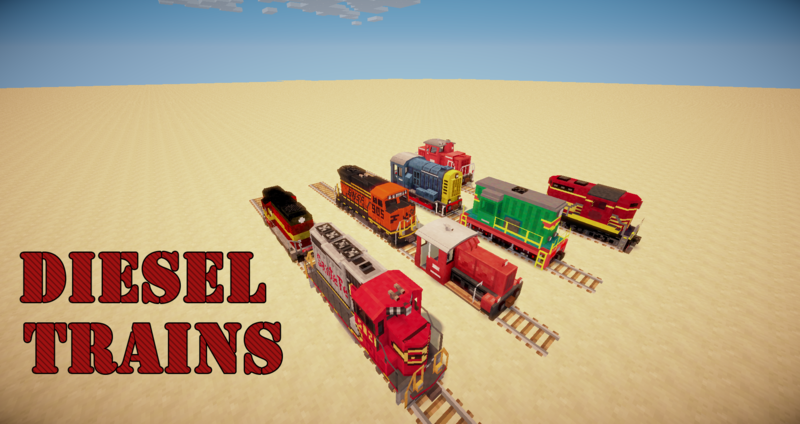 I started traincraft back in 1.6.2, once it went open source I started work right away trying to bring it back to 1.7.10, several months later, and several hundred thousand lines of code rewritten, I got kinda stuck and had no Idea how to fix any of the problems. Not long after that a team was finally assembled, most of the errors evade me, but having this awesome team back me up has kept this project not only alive, but prospering. • Remember that this is a PORT, a lot of code has changed from 1.6.4, but it's all built off the 1.6.4 code. • There are no plans for 1.8 porting, by the time it would be done everyone will be on 1.9.4 anyway. A large number of other mods plan to do the same thing, Millenaire as a prime example. • Future porting of this port is intended, but we need to clean out all the bugs we can from 1.7.10 before moving on and creating more bugs. • Cauldron is not supported, nor do we intend to support it, it's not even supported by it's own devs anymore. • CKauldron and Thermos are not supported yet, but we hope to slowly add support over time. • Yes online multiplayer will be supported. • If you want to help contribute, please sign the project's CLA and make a pull request of your changes. • WE WILL NEVER BE GIVING SPECIFIC RELEASE DATES, quality comes in it's own time, and often there are things that get in the way of a timely release (you don't want us pulling a Batman Arkham Knight). If we do give a release timeframe it may be delayed by unforseen issues. 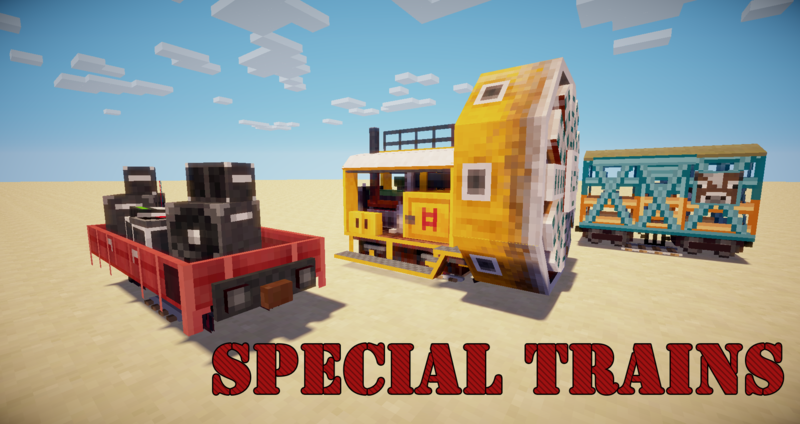 • The trains and rollingstock are, to one extent or another, built off minecarts, so we will be dealing with a number of limitations regarding that. Nothing that hasn't effected previous versions of TC, But things like multiple seats in rollingstock, or being able to walk around in the rollingstock/trains, just isn't gonna happen. • Jenkins builds are not allowed, ever, by anyone other than MrBrutal and/or Spitfire. This is not up for debate. • We do not support EU power, only RF, if you need EU there are a number of mods that can convert the types like Galacticraft and Mekanism. Let me put emphasis that issues and suggestions should go to the github issue tracker for the respective project, not the forum. • See the Trains in Motion section of this post. This is a side project of mine, it's currently HIGHLY unfinished, I like the arcade feeling of TC but I wanted something a little more realistic and detailed, not so much as opening doors and walking around on it, those are really just cosmetics, but rather more realistic management of bogies, speeds, position and rotation, fuels, etc. I also wanted a rewrite for TC but I didn't want to be constrained to the release limitations of the license. 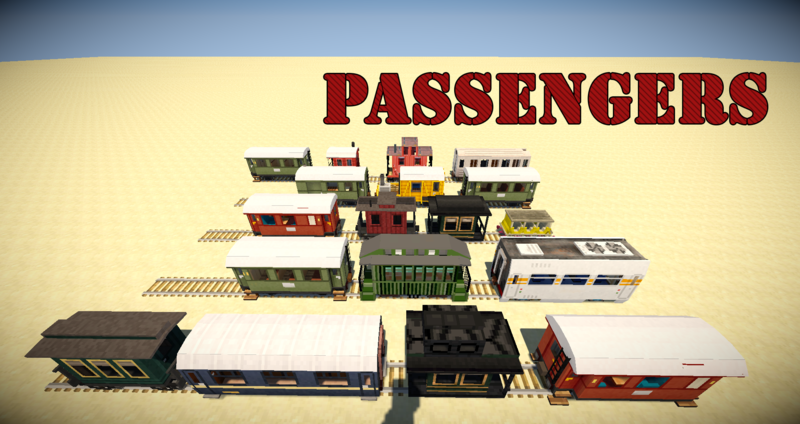 • TC branch: Intended to be very similar to what you would normally expect from TC, including revamped trains, sounds, and graphics from TC, but it will be much easier to add new trains, rollingstock, and features. • TiM branch: Think of it as the 'simulator' version of TC, something that's not really meant for casuals. Check the next spoiler for the features that go beyond the TC branch. • I intend for a number of new trains that TC would normally not have like nuclear, hydrogen, and maglev, along with all the usual types like electric, steam and diesel. • Unlike TC, TiM will not have it's own rails, rather an expanded support for Zora no Densha rails, however rails from the TC rewrite branch and base game rails will also be supported. 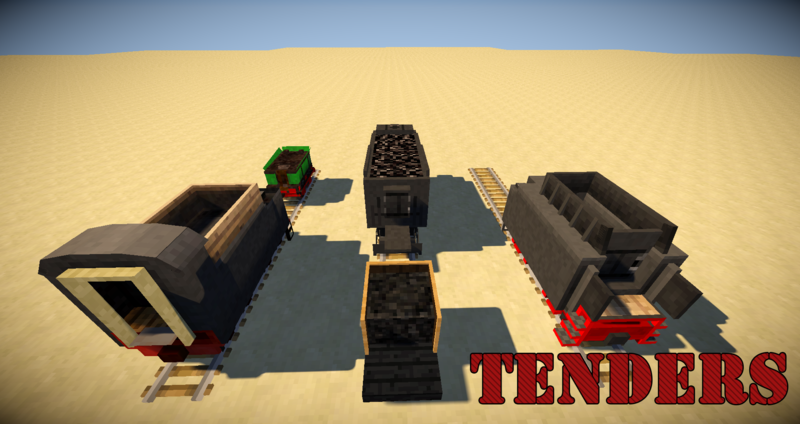 • None of the trains, sounds, or graphics from TC will be present in TiM, and they will work alongside eachother. 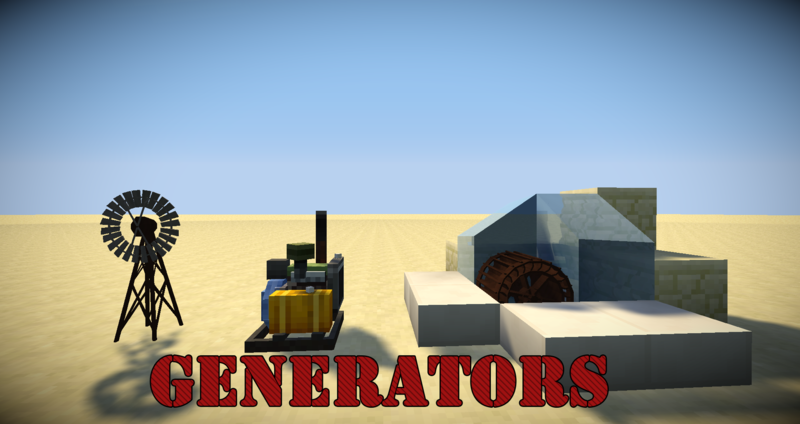 - Village(MCA/vanilla) and Millenaire plugins that can mine ores and put them into loaders. 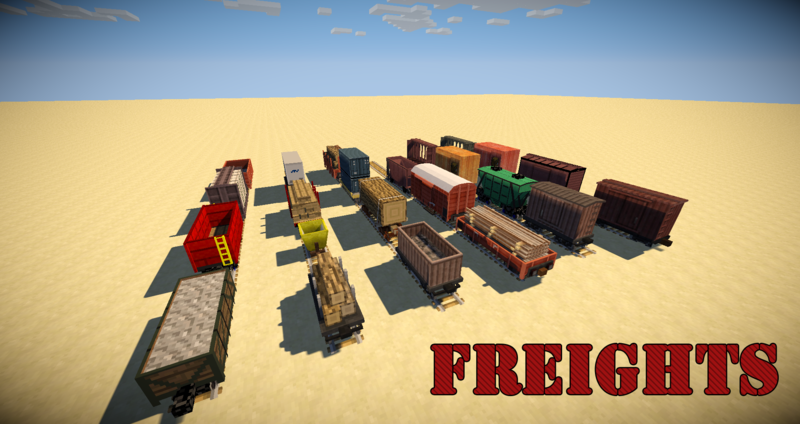 - Loaders that can put the resources from a chest or village into the appropriate rollingstock. - A large selection in both trains and rollingstock, both freight and passenger from all over the world. 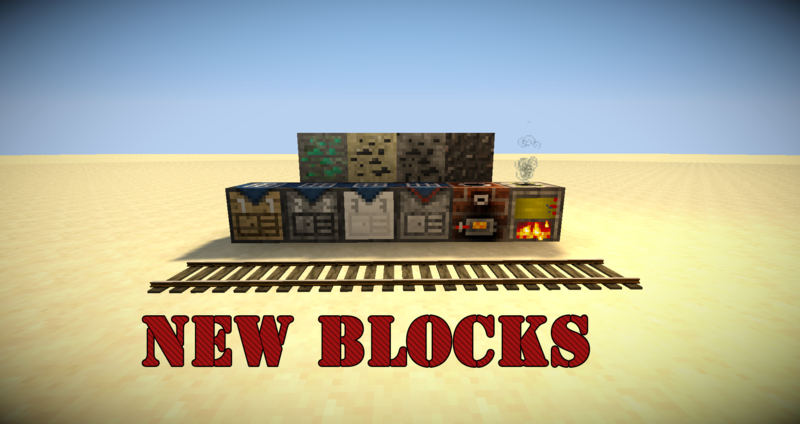 - And resource processing, multi block structures that allow you to get more our of your ores, whether it be more ingots, or refining cobblestone and gravel into random ores (Because what else are we gonna use it for?). • All to be designed for realistic difficulty, so you can get more out of less, but not in such a way where it felt easy or like cheating. As time goes on I will update this post to help keep everyone updated on new information regarding what I've mentioned. 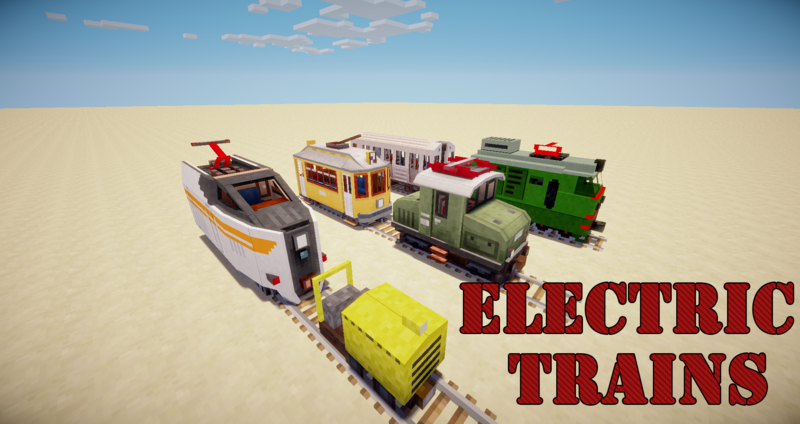 Electric trains should be able to be powered by RF batteries now, and you can generate RF from the generators (which have improved a little since 1.6.4), but beyond that, it's rather unlikely. Of course if someone wants to contribute that extra functionality, that would change things. We have no example of reporting or suggestion at the moment but include the mod/mods which we could support, if they provide an API, which power they use (RF/EU/MJ whatever if you want us to support something like that) and what we should support out of the mod. Oh nice a new thread, Nice. Also whats fixed/changed in the new on the 4.3.0_003 update? But I included a changelog.txt-link in the first post too. Cliffnotes version: There have been a number of optimizations, the jukebox cart is working now, locking shouldn't be broken anymore, positioning on MC rails should be improved, rails should now be able to replace a number of other misc things that get in the way, like flowers and mushrooms. And Diesel trains shouldn't be consuming 2 canisters at a time when only giving 1 canister back (both in fuel and in empty canisters). 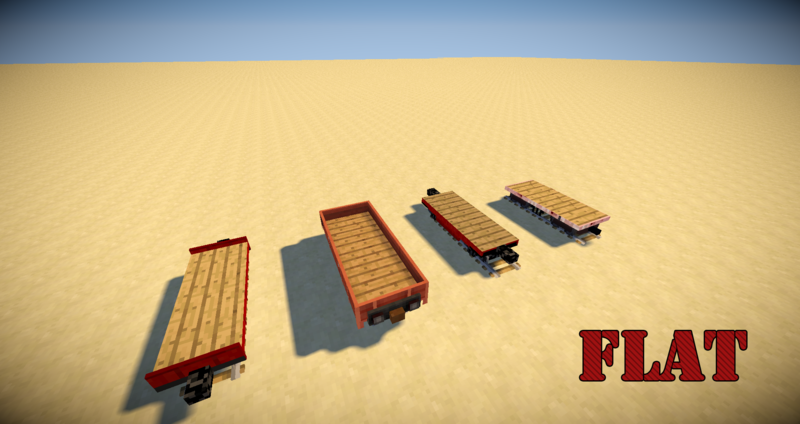 Theres also been a couple texture fixes. And it now supports forge recommended, so you don't have to be on latest. You can always check the github comits between the release of revision 2 and 3 for more specific info. Oh Nice, Tall grass is annoying when trying to layout a Railroad, and I like the sound of using the recommended forge over the latest. if anyone is looking for a good RF producing mod I would suggest immersive engineering as I think it would compliment it quite nicely, and with it having power lines, that MIGHT appease the people looking for overhead wires too. Finally! It's here! AMAZING! Keep up the great work! i crawled out from under a rock again and i see 1.7.10 has finally dropped good work to the contributors and i also see a 1.10.2 github section too,well as i dont think i can contribute much to code or assets at this point of time i will just remain a passive observer then.